Home » sapphirestar7789 » Pictures » Happy Halloween! HAPPY HALLOWEEN EVERYONE! 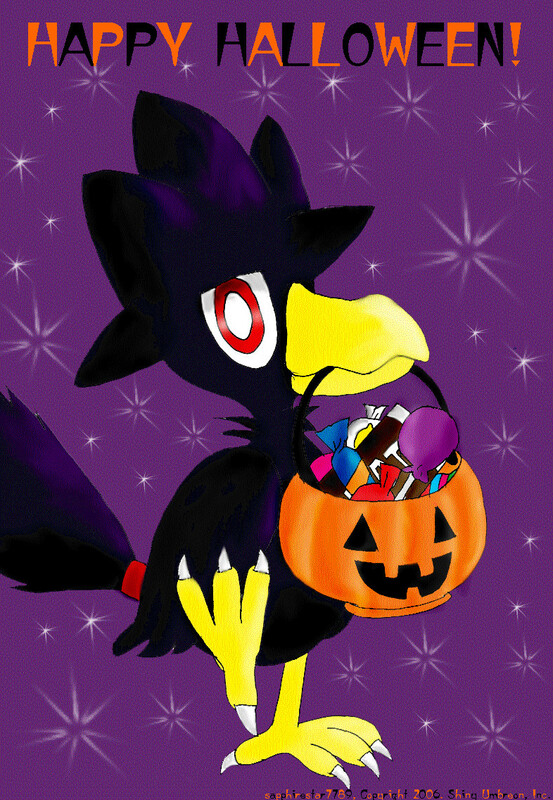 HOPE YOU GET LOTSA CANDY! This is Wizard, my murkrow! He says hi, too. So cute....I want one. Heh. I like the shading. i wish i could do something like this, but i can't! You are so freakind awesome! i adore your work! Sorry, small rant. I love the pic, though, especially with his little foot up in the air! Just so adorable!